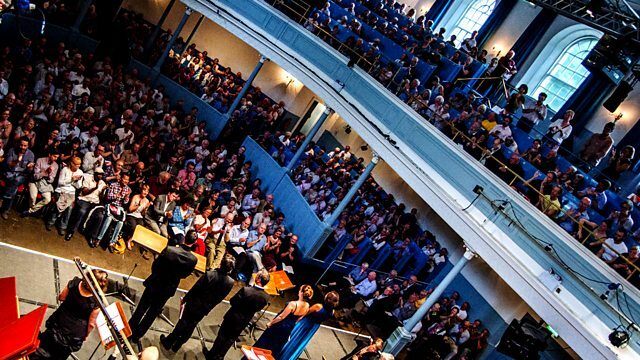 The Academy of Ancient Music under the direction of Richard Egarr perform Bach alto cantatas with Iestyn Davies and music by Telemann, live from Edinburgh. The Academy of Ancient Music, under the direction of early music specialist and organist Richard Egarr, perform Bach alto cantatas with Iestyn Davies and music by Telemann, live from Edinburgh. Bach's Cantata BWV 170 (Delightful rest, beloved pleasure of the soul) is a serene and uplifting cantata extolling the virtuous life away from sin. Geist und Seele wird verwirret (Spirit and soul become confused) draws from the Gospel of Mark and has a positive message that the believer should open their heart to see God's work. They open the concert with an Overture from Bach's most prolific of contemporaries, considered by some at the time to be the superior composer - Georg Philipp Telemann.